As children, sky was the limit. The word “impossible” never slipped our lips. I vowed to build a spaceship in my backyard. I knew, without question, that I would be the first six-year-old in orbit. With scrap cardboard and colored pencils in hand, I set to work. As we grew up, we were taught rules: the laws of physics, etiquette, mathematics, morality, sexuality, language, health, justice, economics, politics, and responsibilities. We were told what to do and how to do it. Worse, we were told what NOT to do and threatened with consequences. Sure, we were being educated. But that education undermined the innumerable liberated conceptions we had as children. I’m sorry, child, you cannot defy gravity. You cannot live forever. You cannot leave the house without wearing pants. 1 + 1 never equals 3. Things cost money you cannot afford. No this. No that. No, no, no. The endless list of constraints continues to grow everyday of our aging lives. But then, reality sunk in and this video was not terrifying anymore. I now know that hovering and transforming on this level are not feasible in the physical world, and that such creatures do not exist in nature. The boundless scope of my childhood imagination enabled these possibilities in my mind and allowed me to fear the things I did not understand. But my adult mind, constrained by rules of the natural world, can dismiss this scene as psychedelic fiction. Would our lives be better without rules? No, of course not. Rules will always exist whether we want them to or not. I do not think anarchy or ignorance make the world a better place. But I do think it would liberate mankind’s imagination a little more if we understand rules as surmountable obstacles to our dreams, instead of barriers we cannot pass. The best thing my parents never did was tell me “no.” They let me play in the backyard until my heart’s content. I figured out on my own that I could not build a spaceship. But because no one I respected ever tried to stop me, I never gave up. I signed up for the movie business to get me closer to orbit, closer to building that spaceship, and closer to the stars – if only through models and effects. I fight the rules every day and refuse to let anything stand in the way of my dreams. Go out and fight the rules. Never say never. Dream big. 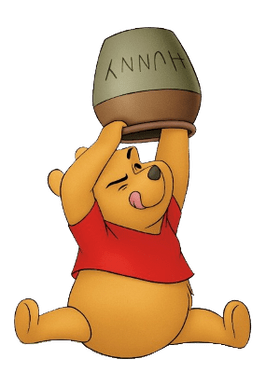 This entry was posted in Miscellaneous and tagged Dreams, Education, Imagination, Life, Movie Industry, Physics, psychology, Social Sciences, Winnie the Pooh, YouTube by Craig Ormiston. Bookmark the permalink.